The ProSport Standard Strap Dressage Numnah from LeMieux offers great value for money with their high quality fabric structure, designed to retain shape by reducing shrinkage. The non-slip waffle inner lining manages heat and sweat with its breathable make up. Each numnah has the famous LeMieux girth protection areas and swan neck with new locking loops. Perfect fit for a 17"/18" saddle. Sizes are approximate and are to be used as a guide only. 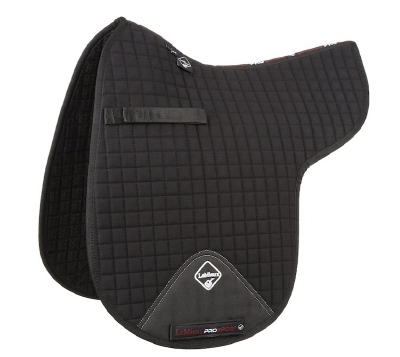 There are currently no questions for LeMieux ProSport Standard Strap Dressage Numnah - be the first to ask one!